In June, I mentioned an article by Simon Cotton on the Church at Louviers. On page 35 of the August edition of New Directions (published by the Anglican group Forward in Faith) you can find a piece he has written on the Abbey Church of St Savin-sur-Gartempe (Google Map.) not far from Poitiers. The Church is a UNESCO World Heritage Site. The splendid photograph above is Simon's. The Romanesque murals in the crypt of the Church depict the legend of the martyrdom of Saints Savin and Cyprien which describes how the two brothers were sentenced to death in Greece for refusing to worship idols, escaped to France, were pursued by their persecutors and put to death on the banks of the River Gartempe. 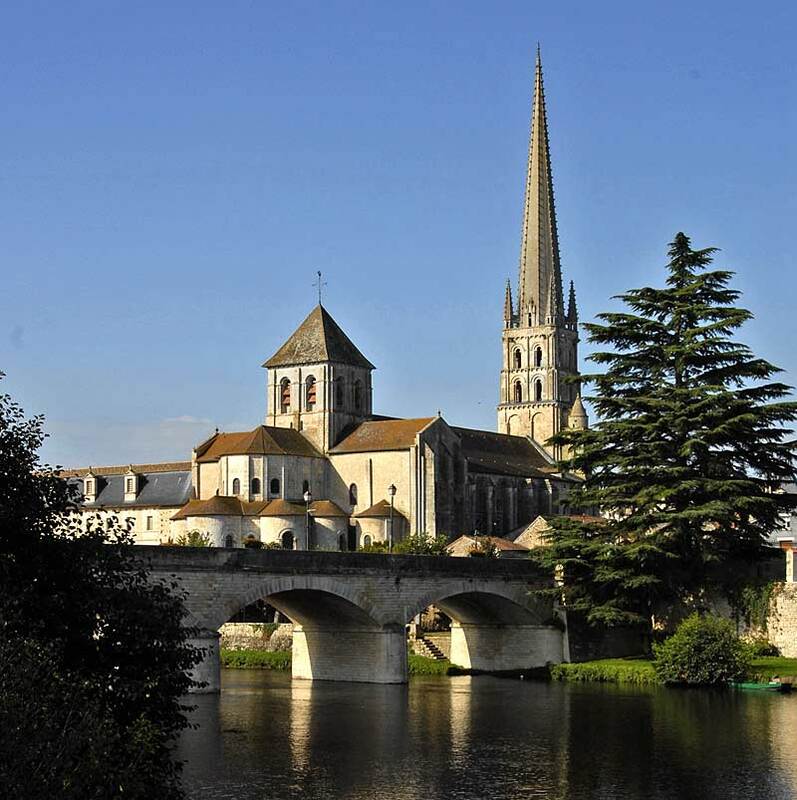 I was interested to see that St Savin-sur-Gartempe is quite near Chauvigny. The stone from Chauvigny was used in the British Museum by contractors working there, instead of the more expensive Portland stone that should have been used. It is obviously different, being slightly warmer in colour. It was the stone that my stonemason recommended for the high altar at Blackfen. In this edition of New Directions, there is also a sensible article by Ed Tomlinson on page 15 which looks at the misrepresentation of the Church in reporting on child abuse.